Leather upper with signature, three-stripe design along the side. Iconic Gucci® logo print with rainbow stars allover. 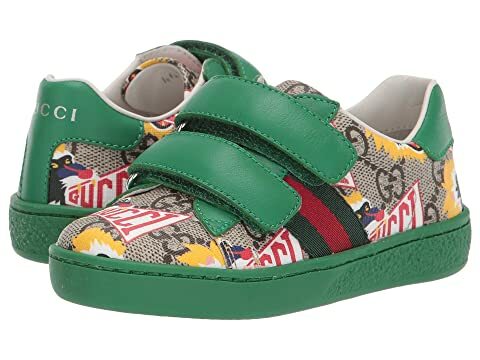 We can't currently find any similar items for the GG Supreme Double Strap Sneaker (Toddler) by Gucci Kids. Sorry!